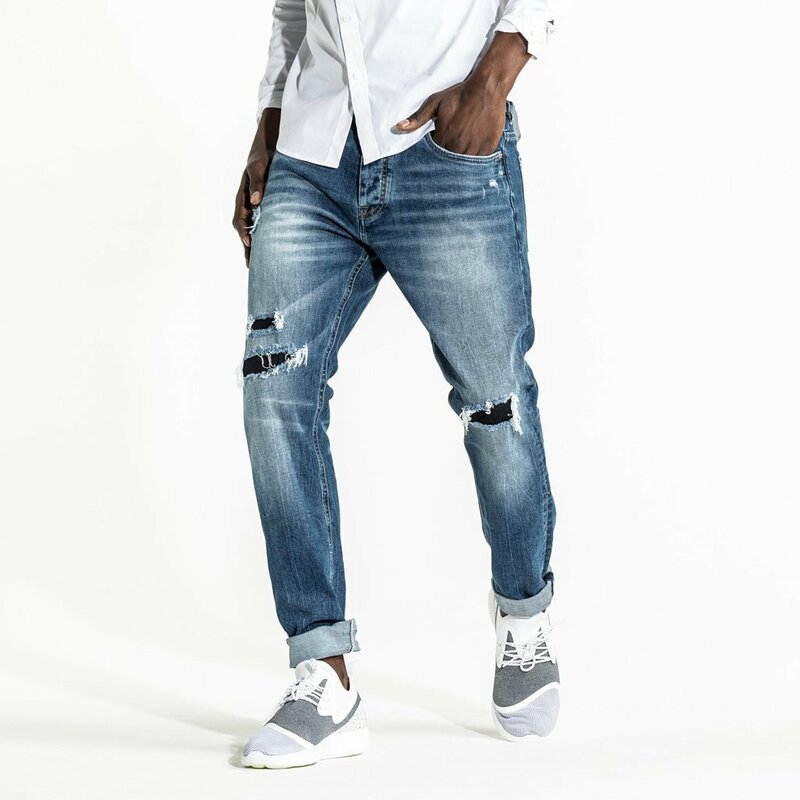 The CR7 Type-R denim jean is designed for movement. Mid-rise with a straight leg that's slightly tapered to the ankle. It's an update on the traditional straight leg. Details include the iconic white rivet plus rip and repair detail at the knees.